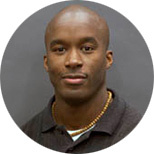 Dr. Green joined the Post-Graduate Fellowship program in 2009 and worked with the Causes of Death research team. His work helped create a software program that is able to make the same kinds of diagnoses a doctor would reach, based on surveys of people who have had a member of their family die, in the method known as verbal autopsy. This program was used in the Global Burden of Diseases, Injuries, and Risk Factors 2010 Study. After IHME, Dr. Green went on to work as Program Officer for Urban Development at the Bill & Melinda Gates Foundation, making and managing grants to organizations whose mission furthers his team's goal of alleviating problems associated with rapid urbanization in cities in the Global South. Flaxman AD, Vahdatpour A, Green S, James SL, Murray CJL, the Population Health Metrics Research Consortium (PHMRC). Random Forests for verbal autopsy analysis: multisite validation study using clinical diagnostic gold standards. Population Health Metrics. 2011; 9:29. Green S, Small M, Casman E. Determinants of national diarrheal disease burden. Environmental Science and Technology. 2009; 43(4):993-999.